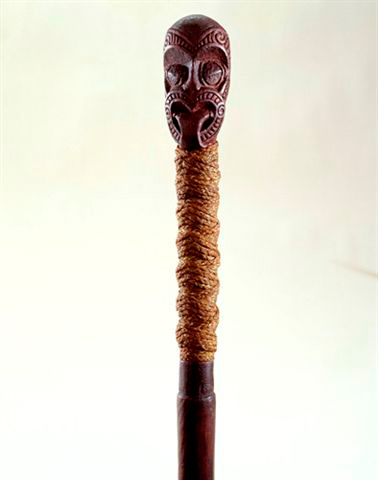 This whakapakoko atua (god stick) is believed to represent Rongo, the god of agriculture. These sticks were often located near gardens of kūmara (sweet potatoes). They were protective talismans to ensure plentiful crops.